No art experience needed - You can do it! This program will awaken the core of your creative spirit. It will open your eyes to a new way of seeing & being. You will use a combination of structure and playful freedom of intuition to create masterpieces beyond your wildest imagination. Much of our life is simply an illusion in so many ways. This is represented in the way we see colours and why we choose them. Using a simple black background representing the void, we begin to bring our paintings forward into the material world. All of this and so so much more in a very easy and unique self paced way of learning. Irena is an internationally celebrated artist and is one of the worlds busiest art inspirationalists. Her very unique technique was developed over a lifetime of working with brain activation, brain physiology, art, kinesiology, The Virtues Project and the wisdom of the ages. Irena magically takes you through a process that allows you to easily awaken your intuitive ability and to live your life from the core of your Creative Spirit - the truth of who you are. With this self paced online program you will complete beautiful paintings that you will be proud to frame. These paintings will speak with you and heal you with their messages and colours. This program will not only turn you into an amazing artist - it will also lead you to living and working with your passion. Amazing things happen in life when the creative force is fully alive in you. You will be shown how to integrate your whole brain for creativity, logic and intuition. You will learn a new way to see and understand the world around you. You will awaken to the creative possibilities in life. 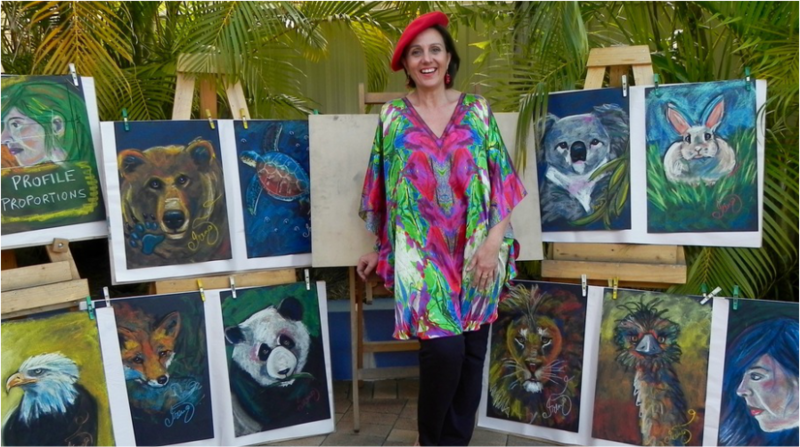 You will complete amazing paintings - faces - human and animals with Irena's personal guidance and support. You will join a community of enthusiastic likeminded people where you can share your creativity, support and achievements. All of this and so so much more in a very easy and unique self paced way of learning. Once you awaken your creativity, enthusiasm and passion, this could lead you to all kinds of fun and interesting pursuits and adventures!